If you want to take part then the current sessions are running at Neston on Thursday afternoons or email Suzanne.Londra@merseyforest.org.uk to find out more. Check out the activities coming to the green spaces of Cheshire. 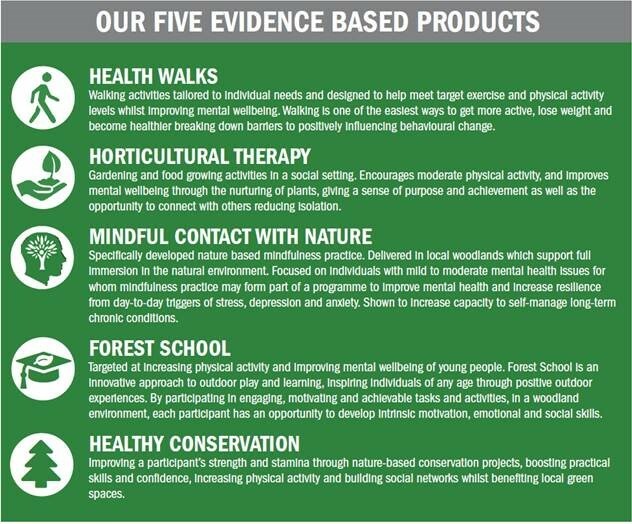 From January 2018 our full range of evidence based products will be on offer across Cheshire West and Chester. 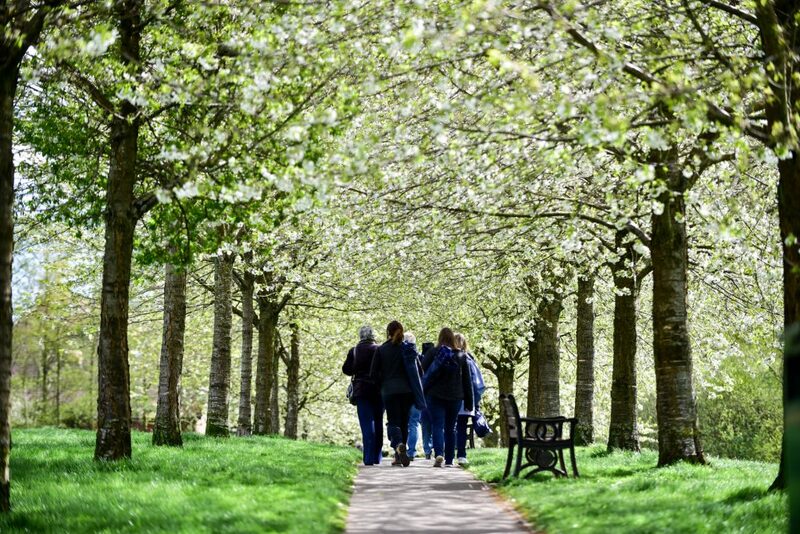 The team have been working hard to select the most beautiful woodlands and green spaces on offer across the authority, enabling participants to experience the wide ranging health and wellbeing benefits of being active in nature. The programme will commence from January 9th 2018, with activities taking place in Winsford, Ellesmere Port, Northwich, Frodsham, Neston and Chester. The service welcomes individuals of all ages, ability and experience. It is also completely free of charge, so what are you waiting for? Last month a 12-week Reading with Nature programme came to an end at Calderstones Park, Liverpool. 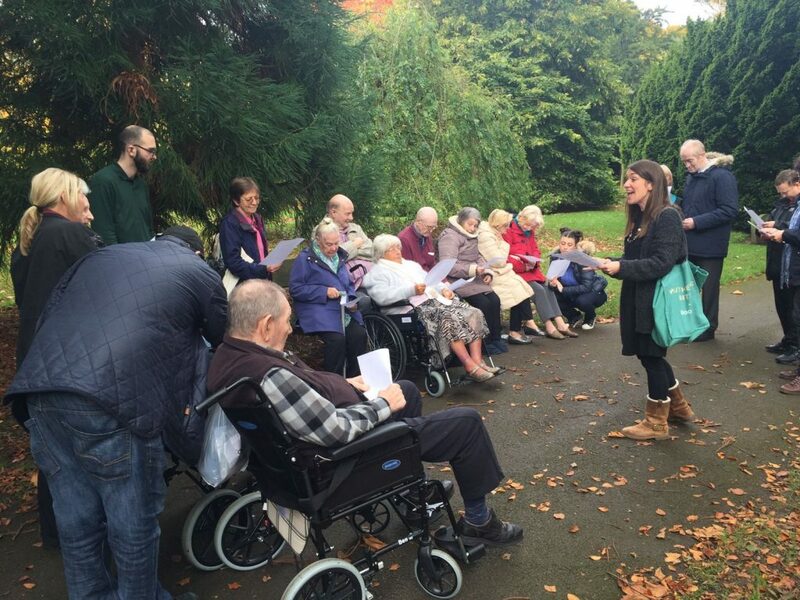 The programme was run in partnership with The Reader, who are based within the park. As pioneers of Shared Reading, the aim of the organisation is to build communities through reading great literature aloud, in turn improving wellbeing and reducing social isolation. The values shared between The Reader and Nature4Health provided a great foundation to work collaboratively on this programme. 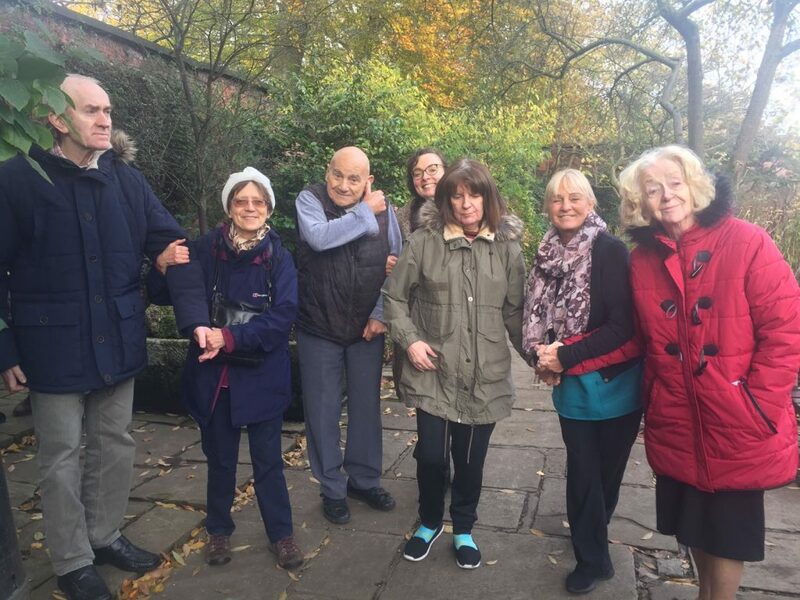 As ever, it was important to incorporate the benefits of nature into the sessions, and with the beautiful surroundings of Calderstones Park on offer there was an abundance of natural spaces for the participants to discover. During a conversation about the magic of trees after walking past the 1000 year old Allerton Oak, one group member said he could imagine magical creatures living in the tree. Overall the programme was a great success, with a special mention for Katie and her team of volunteers at The Reader for delivering such a wonderful service. Earlier this month several programmes came to an end at Rice Lane City Farm, Liverpool. 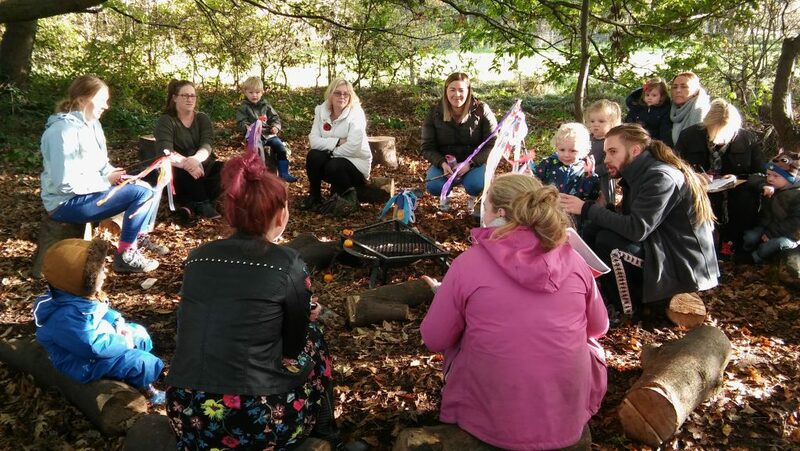 The farm hosted a 12-week Nature’s Therapy programme, and a seven-week Family Forest Tots programme, which was split across two weekly sessions due to high demand. All programmes were run in partnership with the Cass Foundation. The foundation’s relationship with the Life Rooms, Walton ensured participants for the Nature’s Therapy programme were those whose wellbeing would benefit most from engaging with the natural environment. In addition, the farms popularity as an educational and leisure destination amongst local parents, ensured news of the Family Forest Tots programme spread far and wide. In total, 66 people were engaged across the three weekly sessions. Although the target audience varied, the intended benefits to participant health and wellbeing were the same. Increasing social interactions and levels of physical activity, the learning of new skills, and reducing feelings of stress were all targeted in the design and delivery of each programme. The 14 acres of woodland on site offered an abundance of green space for the participants to explore, discover, and learn. In an environment far removed from the hustle and bustle of modern day life. The overriding focus of the sessions was enabling people to increase their connection to nature, thus gaining improvements to mental wellbeing. 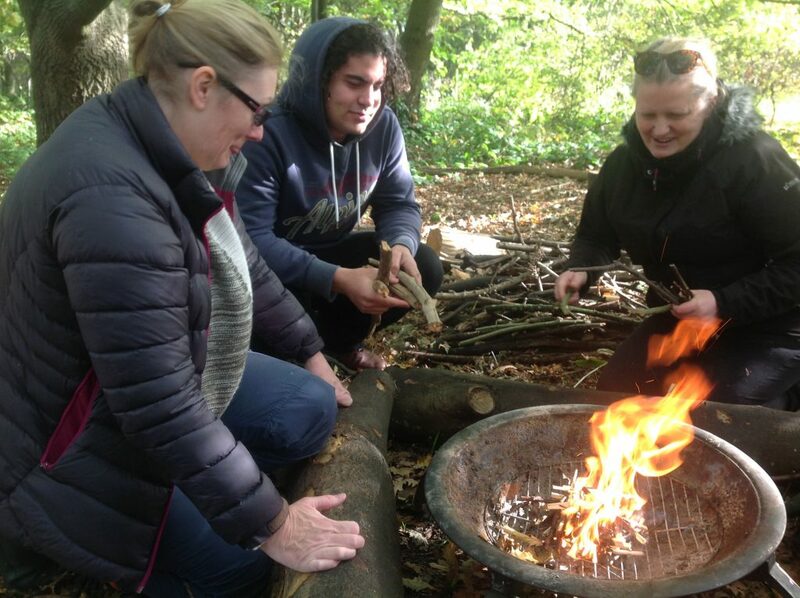 This was achieved through a wide range of participant-led activities such as den building, cooking over fires, creating woodland crafts, playing group games, and mindfulness sessions. [I benefited by] getting out of the house to meet new people, getting out in nature. I found it helped me with my mental health very much. Learning new skills, meeting new people – being outdoors and finding time for myself. I would love this course to continue as I really feel the benefits. Being outdoors together – exploring… enjoying and encouraging the wonder of nature. My little boy loves being outside therefore learning about the outdoors and teaching him new ways to play was really important for me. He enjoyed making new friends with the other children and all the different activities, as well as getting messy. Learning to slow my pace to match my toddlers, to give him the time to explore and have fun without the usual rush! We have thoroughly enjoyed the programme. It was exciting, fun, interactive and run excellently by the staff, we have fab memories from this adventure, they will last forever. Thank you so much. Mindfulness at Marbury – try Tai Chi for free! Tomorrow is the fifth week of our Mindful Contact with Nature course at Marbury Country Park. 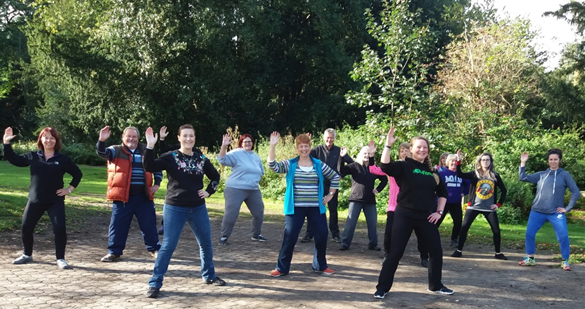 This initial five-week course offered people the opportunity to engage in the mindful movement of tai chi in the beautiful natural surroundings of the country park in Northwich. The sessions are free of charge, and delivered by the wonderful Donna. Tai chi was originally developed as a martial art in 13th-century China, but today it is practised all over the globe as a great form of low-impact physical activity! Research has demonstrated that tai chi is effective at reducing stress, improving posture, balance and general mobility, and increasing muscular strength in the legs, which is critical for preventing falls later in life. 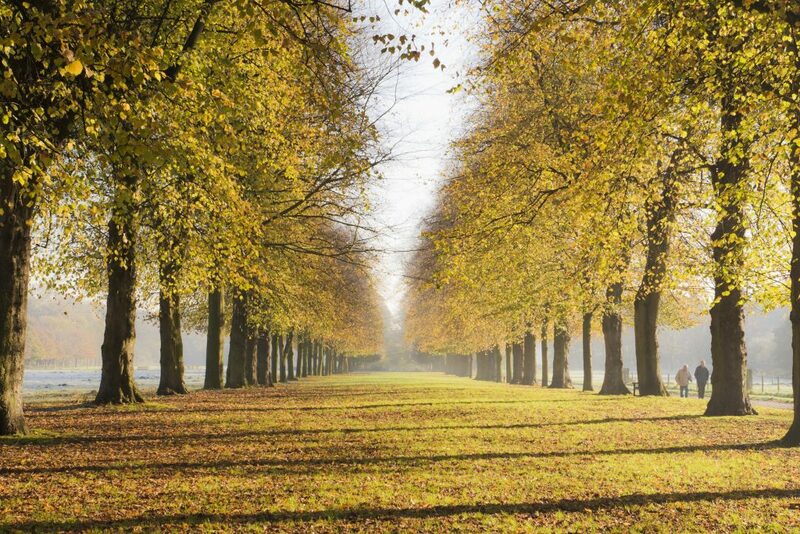 The picturesque surroundings of Marbury County Park provide a peaceful, natural environment, where additional benefits to physical and mental health are on offer as a result of engaging with nature. Through deep and slow breathing, we bring both mind and body to a place of calm, enabling us to enjoy the stress reducing wonders of nature with a more mindful awareness! Following the success of the five-week programme, we are pleased to be offering a further five weeks, completely free of charge. With no previous experience required, this is a great opportunity for you to get involved and start reaping the health benefits on offer! Sessions take place Friday morning 10:00-11:00 am at Marbury Country Park, no booking required – just turn up!